Trusted, reliable and secure email deliverability with the most recommended email delivery platform. At ClubRunner, we're committed to continually upgrading and improving our product, so that you in turn can continue the good work of your Rotary club in your community. As part of these ongoing efforts, we are pleased to announce that we have made an important upgrade to our email system. 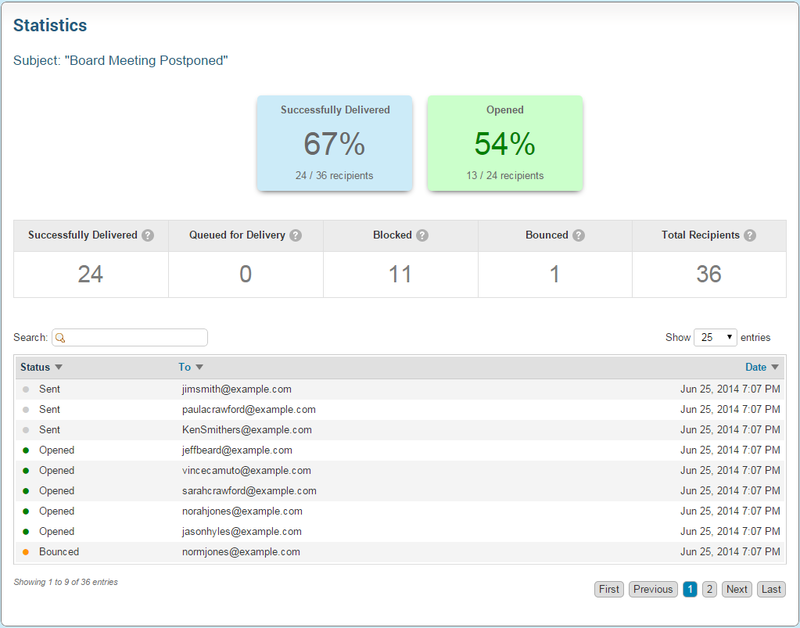 We've recently partnered with an enterprise-level delivery system, permitting us to offer a world-class email service. Our new delivery provider handles the email requirements for 180,000 sites including high profile websites such as Pinterest. This new partnership is a reflection of the growth we have experienced with your support. Our new partner offers you a completely new level of reliability, stability and security. Even view a history of the emails sent, their subject line, who sent it, the date it was sent on as well as your email usage to date with a breakdown showing you how many emails you have sent this year, within the past 30 days, and what your club's monthly average is like. For more information on how to access the Email Traffic Report, click here. To learn how to view your email stats, click here. To read FAQ's about email limits, click here. As a result of this upgrade, we've introduced new limits as listed below, both for clubs and districts, on the number of emails that can be sent. This limit is based on the size of your club or district, and scales upward to match the future growth of your group. We're also pleased to offer reasonably priced upgrade credits that you can add on top of your annual limits, for when you require just a bit more. For higher capacity needs, please refer to upgrade chart below. Upgrade Credits are added on top of your annual limits and require an annual contract and will coincide with your ClubRunner contract. You can purchase email credits at any time during your subscription term at a pro-rated fee for the remainder of your subscription.